15% OFF ALL PROCEDURES In Office. 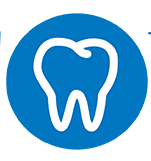 Includes Additional Cleanings (if needed), Dental Sealants, Fillings, Core Buildups, Oral Surgery, Root Canals, Scaling and Root Planing (Deep Cleanings), Crowns, Veneers, Periodontal Procedures, Dentures and Partials. In order to continue in our Wellness Program and take advantage of these amazing savings, patients must keep current with their 6-month cleaning. Yearly fee will be due on first cleaning of the year.